Katharine joined Guildford Chambers as a family pupil in 2018. She read Social Psychology at Loughborough University and passed the BPTC in 2017. During her studies she volunteered at the National Centre for Domestic Violence, assisting litigants in person and making applications for emergency injunctions for those experiencing domestic abuse. Katharine also volunteered at a women’s rights and anti-trafficking organisation in Nepal, where she assisted with researching policy. 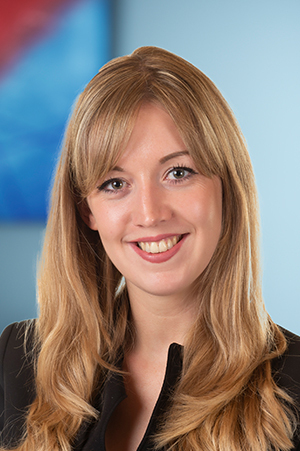 Prior to pupillage, Katharine gained experience assisting on a spectrum of financial remedy and private children cases whilst working as a paralegal at a specialist family solicitors firm in London. In addition, Katharine co-ran Not in my Classroom , an initiative designed to raise awareness of forced marriage in schools. She has delivered a number of presentations to a variety of audiences: teachers training with Teach First, law students and lawyers at the RebLaw Conference, and most notably to c. 200 professionals at Surrey Police’s Day of Memory in 2016. Before coming to the Bar, Katharine gained commercial experience working in marketing, executing and managing international brand initiatives for a FTSE 100 company. Outside of work, Katharine enjoys travelling, boxing and cooking.